30s is an amazing period when you begin to feel more comfortable in your job and life. You can now finally think about settling down, or having your first child. You have the down payment ready for your dream house. Basically, you have more resources to enjoy life. The B & I Issue Budget and Investments remain the biggest priority in your 30s. It might be easy to lose a bit of focus on budgeting as you have more money now at your disposal, but your necessities have increased too. Sticking to a budget helps you focus on your larger goals in life. It is important to set your financial goals, keeping in mind any debt and installments that you have to take care of. Using useful tools like ICICI Bank’s My Money makes budgeting as easy as baking a pie. My Money is a personal finance management tool that lets you take control of money. It helps you understand and plan your finances and track your expenses. Budget is also directly related to investments, and creating an Emergency Fund. It is crucial to invest properly and diversify your portfolio in your 30s. You need to understand how your investments have been performing, and you might have to make some changes depending on your current financial goals and risk taking capabilities. 30s seem too early for retirement planning? Think again! Working on your retirement planning from your 30s not only creates a bigger pool of money, it also gives you the option of retiring early. If your company has an Employee Provident Fund, you would already have a retirement plan underway, otherwise you can always invest in an alternative savings plan. Calculate how much money you need for your ideal retirement life and work backwards. Again, insurance is something that most people in their 30s do not tend to pay too much attention to. Big mistake. Learn about what all kinds of insurance (health and life being the most important ones) you need for you and your family, which will be helpful to steer you and your family through an unfortunate mishap. Term insurance plan, for example, can give financial cover to your family in case of your unforeseen demise. A Retirement Plan gets you a regular pension. You can also choose a plan to save exclusively for your child’s future. With Wealth Plans, you can save and grow your money in a well-planned way. Talking about family, 30s are usually the time when most people are settled or have their first child. It is also important to discuss and align your financial goals with that of your spouse. You need to figure how you would be combining (or not combining) your individual finances. Remember, it could be an uneasy topic, but financial planning is an important part of your relationship. It is important to plan in advance for the expenditures that will come with the first born. Of course, you want the world for your little one and by sticking to a budget you are saving for his or her future. Lastly, being able to buy that dream house and dream car in your 30s is a pretty neat idea, but think hard about what you need and what you can afford right now. Go back to your financial goals and budget and see how real estate, car and other luxuries fit into it, before investing into any of them. If not planned well, this could easily put you in debt or even eat into your retirement fund. Another way to work towards buying big-ticket items like a fancy gadget or a car or taking that holiday abroad with your family is to put some money aside every month as and when you can. ICICI Bank’s iWish is ideal for this. 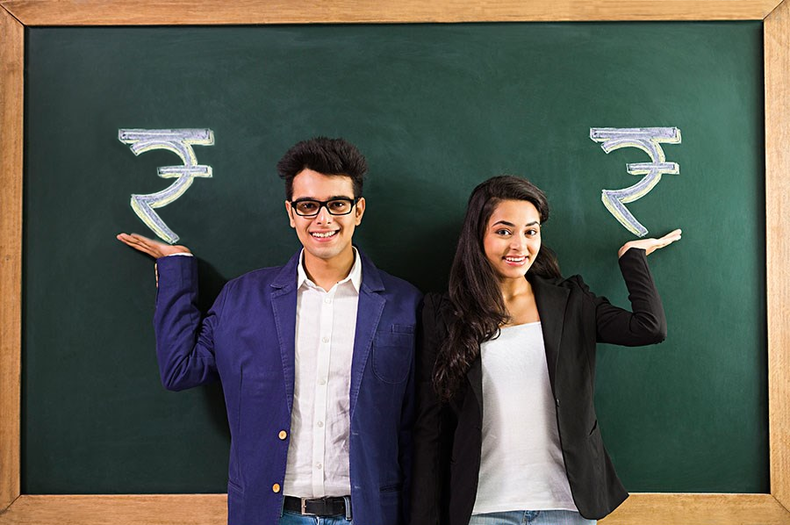 iWish is a flexible Recurring Deposit, which lets you save for your goals as and when you have the funds and earn better interest rates just like you would in a Fixed Deposit.